The following post chronicles and details my journey in largely curing myself of Chronic Fatigue Syndrome (CFS). Very recent advances in genetic testing and nutrigenomic analysis have been a tremendous asset and self learning tool. 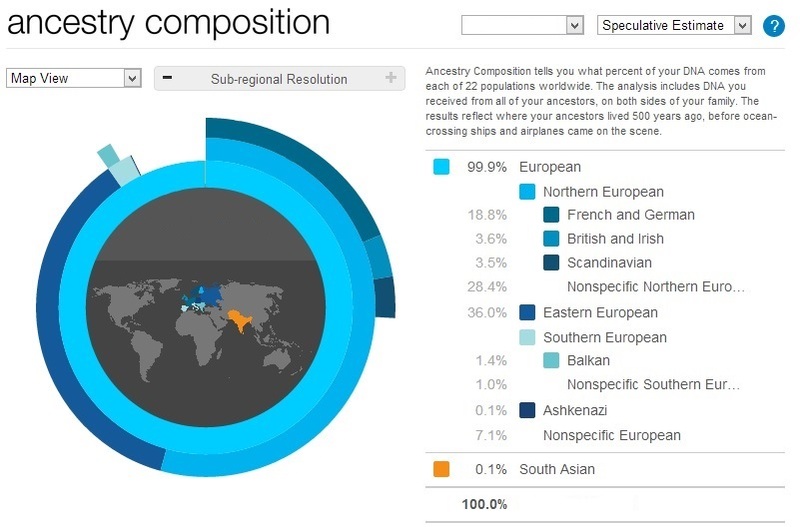 Description – 2 SNPs were measured for this Gene. 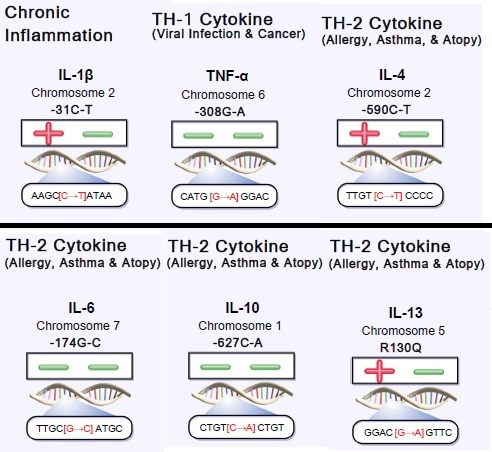 Specific variants are L432V +/- and N453S negative. This gene is responsible for 4-hydroxylation of estrogen as well as detox of common environmental toxins. This means I metabolize Caffeine quicker. Also not to happy about metabolizing Testosterone faster. Grapefruit juice is an inhibitor of this enzyme….maybe drink more of this? Description – This enzyme helps with the metabolism of certain pharmecutical drugs…..none of which I take anyways. rs8177374(T;T) – A beneficial mutation which provides resistance to several diseases such as invasive pneumococcal disease, bacteremia, malaria, and tuberculosis. 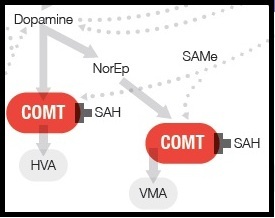 COMT +/+ V158M (rs4680(A;A)) – advantage in memory and attention tasks (worrier strategy) Little or no response to modafinil. You are more difficult to hypnotise. rs53576(G;G) – optimistic and empathetic. The one in four subjects who inherited a variation in this allele called G/G were significantly better at accurately reading the emotions of others by observing their faces than were the remaining three-quarters of subjects. 10 journal articles explore this Oxytocin Receptor encoding Gene. The empathy gene! rs10784502(C;C) – (C;C) has higher cranial capacity and over 2% higher IQ. gs150 – Most likely CYP2C19 normal, i.e. 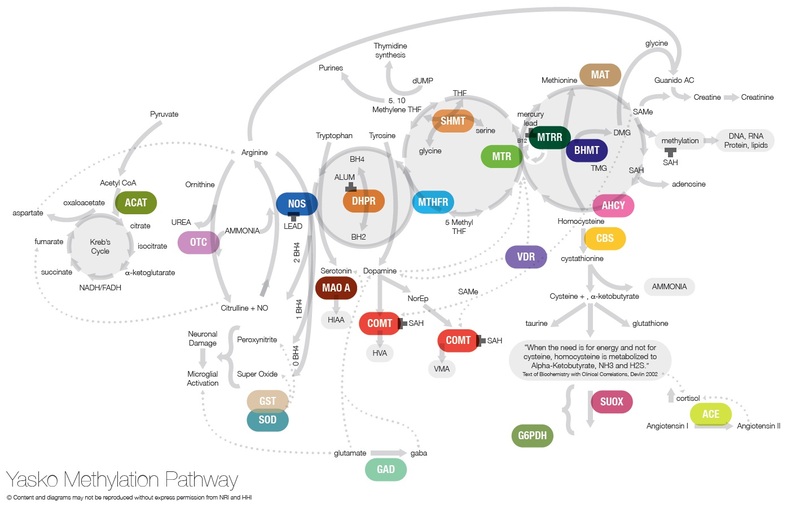 CYP2C19*1, and therefore of the ‘rapid metabolizer’ phenotype. 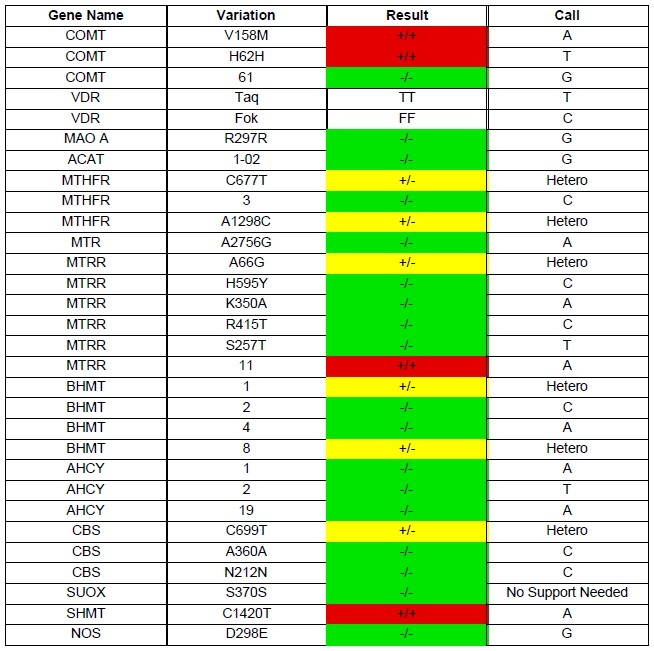 This is based on none of the 11 CYP2C19 variants on the 23andMe v2 chip (out of 19 reported in SNPedia; most are quite rare) being observed. gs154 – You appear to be a CYP3A5 expressor. This is normal. rs2187668(C;C) – 0.48x average of getting Celiac Disease. (less chance of having issues with gluten) In reference to the HLA-DQA1 protein. rs1815739(C;T) – One working copy of alpha-actinin-3 (ACTN3 gene) in fast-twitch muscle fiber. Better athletic muscle power performance such as in weightlifting or sprinting. Superior burst strength. rs2542052(C;C) – Higher odds of living to 100.
gs157 – You appear to have a common genotype in the gene CYP1A2 which metabolizes coffee more slowly than some other forms. The same amount of caffeine will tend to have more stimulating effect on slow metabolizers than on fast metabolizers. gs161 – CYP2C9 intermediate metabolizers are 30% of the population. May require slightly different dosages for drugs such as tamoxifen, warfarin, fluvastin, and many nonsteroidal anti-inflammatory agents such as aspirin, ibuprofen and naproxen. rs12934922(A;T) – Reduced conversion of beta-carotene to retinol Associated with Rs7501331 and reduced BCMO1, lower ability to convert beta-carotene to retinyl esters and higher serum beta-carotene levels. rs7501331(C;T) – Reduced conversion of beta-carotene to retinol Reduced BCMO1 activity results in 32% lower ability to convert Beta-carotene to retinyl esters and higher serum beta-carotene levels. The combo on this enzyme leads me to have a “Super COMT +/+” status. This is a rather serious mutation. It means I have a 3-4 fold reduced clearance neurotransmitters dopamine, epinepherine (adrenaline), and norepinephrine from neural synapses. Thus leading to naturally elevated levels of dopamine and adrenaline. This makes a lot of sense because naturally I am a fairly happy person. In some ways its like I am permanently on anti-depressants making me more resilient to depression. Another plus to this particular polymorphism is that with higher dopamine levels it leads to higher intelligence than average due to how these neurotransmitters interact with the pre-frontal cortex of the brain. Many savants have this defect. The down side however is the higher levels of adrenaline which leads to heightened anxiety and stimulation of the SNS system. In times of stress adrenaline levels can build quickly, creating a negative feedback loop, due to the fact nor-epinephrine is one of the few neurotransmitters that doesn’t inhibit it’s own production when levels become abnormally high. This is a survival fight or flight mechanism and can quickly lead to adrenal burnout & chronic fatigue if stress/anxiety isn’t properly managed. This enzyme also processes the colours red & purple. That means ingesting fruits or dyes with those colours can cause an even further slow down of the COMT enzyme. The chemical responsible for this is a Phenol. Dr. Rosemary Waring is the pioneer in research of this. Thus avoiding a lot of the colourful fruits and vegetables is recommended, and when eating them supplementing with a digestive enzyme that breaks down phenols such as No-Fenol by Houston Enzymes is beneficial. COMT also shares a promoter site with another enzyme called thioredoxin reductase, which helps regulate oxidative stress utilizing lithium. Hence lithium supplementation has been found by Dr.Yasko to be helpful. VDR Taq status is important to fully understand the ramifications of this defect. Awaiting test result. Further testing: Get tested for phenol-sulphotransferase-P deficiency? SHMT is considered a priority mutation by Dr. Amy Yasko. It seems that a defect here has a tendency to lead to gut dysbiosis and imbalanced flora. I have a double defect here and have not surprisingly found much help from taking probiotics. Gut issues is something I have had life long issues with and the SHMT mutation in a way compounds gut issues resulting from the reduced breakdown of nor-epinephrine due to COMT mutations. This means I have a 30-40% reduced rate of converting folate into the active form called 5-Methyltetrahydrofolate which is needed primarily for methylating B12 in order to convert homocystine into methionine in the methylation cycle which then is converted into SAMe. This has knock on effects for thousands of reaction in the body involving methylation with SAMe including DNA & RNA synthesis, epigenetics as well as eventually leading down to glutathione production. 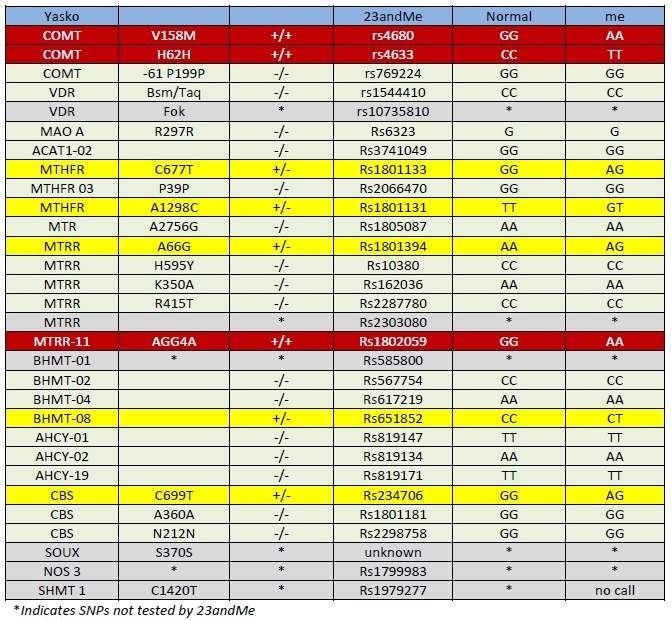 This is the more serious of the two MTHFR mutations. This mutation affects the Tetrahydrobiopterin (BH4) cycle which is responsible for the production of dopamine, seratonin, nor-epinephrine as well as a co-factor in the production of nitric oxide (NO) which detoxifies ammonia. In this case I am not to concerned about how this affects dopamine and nor-epinephrine production due to a compromised COMT, however this can greatly reduce seratonin production which is a concern due to a normal working MAO A which breaks serotonin down. This defect also impacts detoxification of ammonia via NO. I have a CBS up-regulation meaning ammonia production is increased 10-15x making this even more of a problem. The NO cycle further impacts the Citric Acid cycle compromising energy production leading to cellular fatigue. 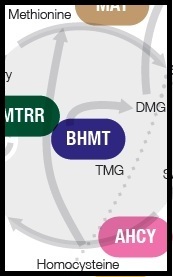 This enzyme is responsible for the re-methylation and recycling of vitamin B12. Fortunately the MTRR A66G +/- is a fairly minor defect considering all other possible MTRR defects. 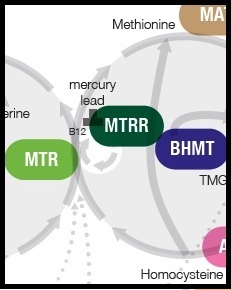 The MTRR 11 +/- is more serious leading to faster detoxification as well as amino acid dumping enhancing the need for more protein and perhaps supplementation with BCAA’s. Because of my COMT +/+ status and the supposed abundance of methyl groups in addition to a normally functioning MTR enzyme supplementing with hydroxyb12 instead of methylb12 is more desirable. This enzyme is the “shortcut” from homocysteine to methionine. This defect appears to be one of the more insignificant ones, and the best thing to do is make sure MTR/MTRR is working properly and efficiently. This is one of the most serious defects. This defect is an up-regulation operating at 10-15x normal rate. 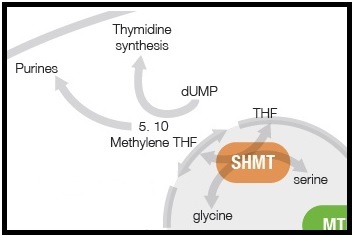 This means homocystine is rapidly drained from the methylation cycle down the transulfation pathway producing toxic ammonia and sulfites in addition to negatively impacting glutathione production. Ammonia is a potent excitotoxin. 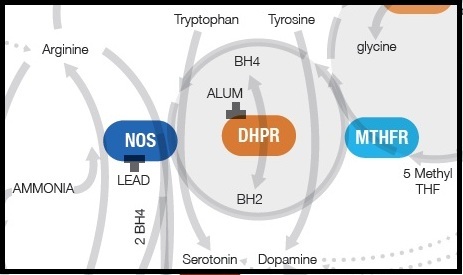 It binds to glutamate/NMDA receptors causing over-activation of neuronal cells. This is one of the key factors in causing feelings of tired but wired, anxiety, excess muscle tension along the spine and neck, brain fog, psychological fatigue, memory loss and a whole host of other nervous system disorders. It will also cause microglia activation (the brains immune system) as it cleans up neurons that died form over-stimulation. The CBS defect is compounded by defects with MTHFR A1298C & NOS. BH4 and Nitrous Oxide are used to help clean up ammonia, and if those systems are compromised it will exacerbate ammonia detoxification issues. It requires two BH4 molecules to detoxify one ammonia molecule. Bacteria in the gut that produce ammonia will also compound the CBS problem. Thus taking things like Yucca root to help soak up ammonia int he gut so it doesn’t leak into the body and start affecting the brain is beneficial. Dr.Yasko often recommends a low protein diet in order to reduce intake of nitrogen based amino acids, however I don’t this is particularly wise. Amino acids form protein are far to essential for most bodily functions. Amino acids from protein in your diet are required for almost every process in the body and all your tissues, fibers, muscles, organs are composed of them. As well as your neurotransmitters, hormones and your detox “components”! According to Metabolic type theory those with SNS dominance will have a higher protein turnover in the muscle leading to yet more ammonia buildup further necessitating the need for ammonia detox support. I came down with CFS/Fibromyalgia/ME when I was 15 years old with no know/remembered trigger. I am 28 now, so I have been battling this for almost half my life. My primary symptoms are chronic fatigue, tired but wired, anxiety, excessive high body temperature…especially at night, full body muscle achiness but primarily neck and spine, brain fog, poor concentration, poor memory, headaches, no appetite for 3 hours after waking- nausea associated with this, IBS, allergies & very poor recovery after exercise. I am textbook ME/CFS/Fibromyalgia. I have other problems that I have had since birth which indicate issues with Methylation prior to the onset of CFS/Fibromyalgia. 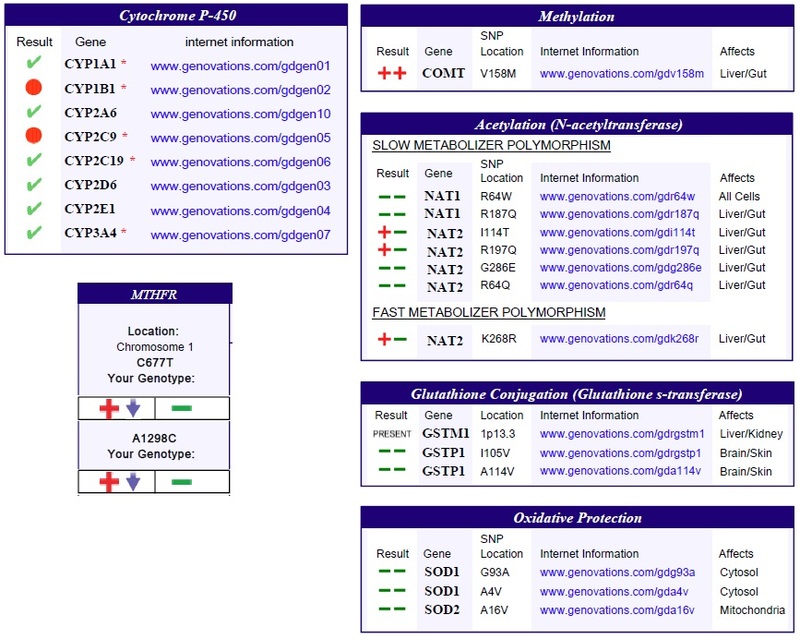 My mother used thyroid meds to get pregnant with me, her mother died of thyroid cancer, my grandpa on my dad’s side has prostate issues and his mother had b12 issues, my dad and his mother both got grey hair in their late 20’s, my cousin on my dad’s side has CFS….all of these things are linked with polymorphisms in methylation. So thus I have a sneaking suspicion I inherited issues from both my parents in regards to this. I was a colicky baby, had dry bleeding skin, numerous allergies, anxiety, and nightmares since I was born. All this got worse with the onset of CFS. As a child I also apparently reacted violently to MMR vaccinations. I have tried a gazillion supplements over the last decade or so, and been to countless doctors/Naturopath’s and tried many therapies & diets. I even went to the Mayo clinic and after $10,000 worth of work they told me I was perfectly healthy according to their tests and to go home and learn to live with it. Yea right! For me being at 30% was, flunking out on half my courses at school, needing to nap 3+ hours a day, unable to exercise, extreme muscle tension, full body aches and pains, severe anxiety, insomnia, fatigue, felling like vomiting every morning and more. This state persisted for about 5 years. What worked was, large doses of Micronized L-Glutamine 10-20g a day. This increased my energy from about 30% to 60% and a high protein diet took me to about 70%. The glutamine was a magic bullet in terms of the insane catabolism I had experienced with the associated achy muscular pain which had been virtually debilitating. L-Glutamine is a conditionally essential amino acid. Meaning if you are on a low protein diet (which I was for those 5+ years) it can cause serious problems. Leaky gut and irritable bowel are particularly nasty situations and Glutamine also has implications here. Let me breifly describe how I think this works. When the gut/ intestinal lining develops holes undigested food particles/molecules, particularly proteins leak into your body/bloodstream. These could be from ‘normal’ food, however, in a undigested/not-completely broken down form, your body thinks they are foreign invaders and attacks these molecules mounting an immune system response against them. Also bacteria will leak in as well. Had these food molecules/proteins originally been broken down properly your body wouldn’t be attacking them. But now, your body is mounting a full fledged assault, exacerbating the ‘allergy/intolerance’ problem. Slowly it seems like you become allergic to everything you eat, and technically you are. What this does is it severely taxes your bodies detox components namely glutathione and your white blood cells/killer T cells. 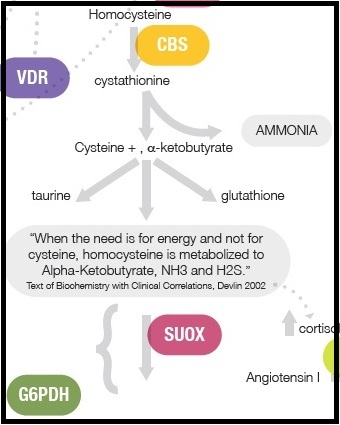 Now the production of glutathione as well as white blood cells is DEPENDENT on you having a whole range of amino acids that support the methylation cycle and all it’s subsidiary cycles. Remember glutathione and white blood cells are made up of amino acids from protein. If you don’t have adequate methionine, cystine, glycine, etc. your body won’t be able to make glutathione and white blood cells. This is basic math! So back to the leaky gut/holes in your intestine. We now have a serious negative feedback loop. Any protein/amino acids you are digesting properly are being used to make the stuff to mount an imuune response against the other protein/food particles leaking into your blood that weren’t digested properly. Your glutathione/white blood cells will be used up so fast, you won’t have enough to produce the stomach acid needed to break down the food particles in the first place. Now things just got from bad to worse. And there in lies the negative feedback loop. You can forget about detoxing, mercury, ammonia, etc. your body is busy detoxing every meal you eat. This is why large quantities of glutamine are so very helpful for leaky gut. They rebuild the “screen/filter” in your small intestine, that prevents the undigested protein molecules from leaking into your blood. So now your preventing your body from trying to detox all the food you eat. Which takes a humongous load off your immune system. Now your body is still in a depleted state, so supporting glutamine with digestive enzymes can be very beneficial as well. The goal is to provide support breakdown of food so your body dosent have to expend precious resources to do it. Once your body’s basic system are back online, and your tissues more or less healed, you can begin to worry about detox of chemicals. Consuming easily digestible proteins such as PeptoPro, a Whey protein isolate with protein enzymes can be very beneficial. Eating red meat, or veggie fiber-dense proteins is NOT effective, it requires too much work from an already taxed body. What I did was start on large doses of glutamine (20g a day), then slowly ramped up protein intake to 60g with lots of digestive enzyme support over a few months. Once my health was at 50% I decreased glutamine to maybe 5g a day, and stopped the digestive enzymes and then started detoxing heavy metals, etc. It’s important to not put the cart before the horse here. My theory here is that as an SNS dominant my body tends towards a catabolic state. This means that often it breaks down muscle tissue for energy in an almost preferentially version over fat. Contrary to SNS dogma I now eat a high protein diet in order to compensate for this…however it is currently from a raw vegan sprouted brown rice protein powder source. My body digests it easily and I can fuel my muscles keeping them in a slight anabolic state. This has really helped me preserve energy and alleviated many CFS symptoms. I am now 6ft tall at 190lbs and I eat almost 175g of protein a day. I am eating 35g of protein minimum every 3 waking hours. That’s 5 meals a day. This provides a steady steam of amino-acids to my muscles and body keeping it nourished and from going catabolic. I also find that pumping iron, really helps balance my SNS. I work out 1x a week for 45mins, and have been building solid muscle mass and strength. Pumping iron appears to force my body and especially my muscles to strive for an anabolic state most of the time, provided I fuel them with adequate protein. The workout is inherently catabolic, however the 4day to 1week rest period in between sessions is where the muscles repair & rebuild and is anabolic. It really grounds out that SNS dominance. Because my citric acid cycle is compromised due to methylation issues, mitochondrial factories are not working great. Intense Cardio is out of the question so thus I have resorted to a minimalist bodybuilding program instead. Cardio is based on how long your mitochondrial factories can pump out energy. Weightlifting on the other hand is more about rebuilding muscle fibers to become stronger and bigger. That said I do a bit of minor very low impact cardio. I started the whole list of SNS supplements, and started having improvements in my health within 12 hours. I would say it has boosted my overall health and well being by about 5-10%, but then again I am already on a mostly SNS diet…which really is the most important part. Yasko Supports, biopterin, RNAs, Yucca, etc. I feel the methylation cycle stuff is the last leg for me in terms of overcoming CFS. The Yucca has really diminished the muscle tension I feel along my spine and neck. I seem to have a lot less brain fog and better concentration as well. I’m also waking up more rejuvenated. The anxiety & Stress RNA’s appear to be helping as well. I still seem to have issues with my cirtic acid cycle due to lack of muscle endurance type energy. Also I still do experience diminished forms of brain fog & anxiety. I wake up feeling somewhat exhausted although it’s not nearly as bad as before. Louise Hay has put forth the idea that CFS develops in individuals that are highly disconnected from their emotions. This is a pattern that begins early in childhood when a child receives messages from it’s parents that it is not okay to express certain emotions. This causes patterned subconscious repression of emotions and often results in something known as freeze response when novel stress situations are presented. For me personally this makes a lot of sense and I have begun using Self Regulation therapy as an effective tool to remedy this issue and empower myself emotionally and thus energetically. Emotions have an all-powerful effect on the biochemistry of our body and if the free-flow of them is impeded in any way it will lead to health issues. *Note: This post originally appeared on the Phoenix Rising forum.